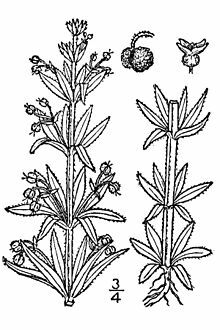 Corn Cleavers is an annual of arable fields and an archaeophyte (a plant probably introduced to Britain before 1500). It is distributed across most of Europe plus northern Africa and southern Asia to China, and also naturalised in Australia and the Americas. It was formerly widespread in southern England, but is now Critically Endangered, Nationally Rare and listed on Section 41 of the CROW Act. By 2012, it was only regularly seen in the UK at Rothamsted Research Centre in Hertfordshire. At other sites it only occurred as a casual, for example appearing in Cambridgeshire following some road works. 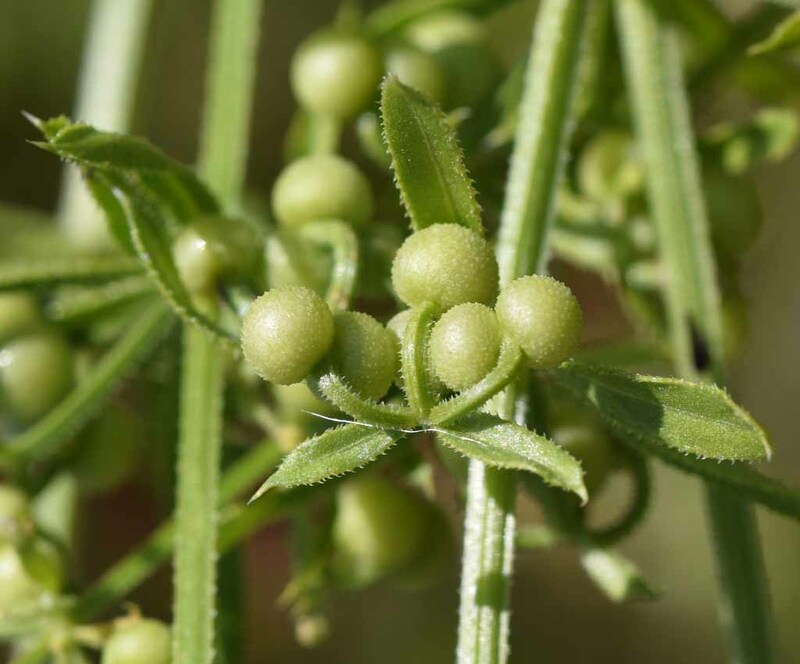 In Oxfordshire, Corn Cleavers was recorded at more than 27 localities by Druce in 1927 and was last found during the 1980s at Ditchley Road Quarry by Bill Campbell and near an area called the Triangle in Wytham Woods SSSI by Dr. C.W.D. Gibson. This area has been arable since the War and probably long before that. Ploughing the Triangle since 2000 had not produced Corn Cleavers, but it enabled some 185 species to appear including the Nationally Scarce Slender Tare (Vicia parviflora) and six species of conservation interest in Oxfordshire: Blue Pimpernel (Anagallis arvensis foemina), White Helleborine (Cephalanthera damasonium) (spreading from the adjacent beech wood), Dwarf Spurge (Euphorbia exigua), Wall Fumitory (Fumaria muralis), Small-flowered Buttercup (Ranunculus parviflorus), and Field Madder (Sherardia arvensis). Corn Cleavers is closely related to ordinary Cleavers, but has downward pointing (recurved) flower stalks, and straight very short spines on the fruits, rather than hooked spines. The flowers are usually in groups of three (hence tricornutum = three horned). Ecologically it does not benefit from high levels of nitrate in the way that Cleavers does. It also has weak stems to 60 cm long which are suited to growing in cereal fields. Corn Cleavers has a chromosome number 2n=44, while Cleavers has 2n=66. 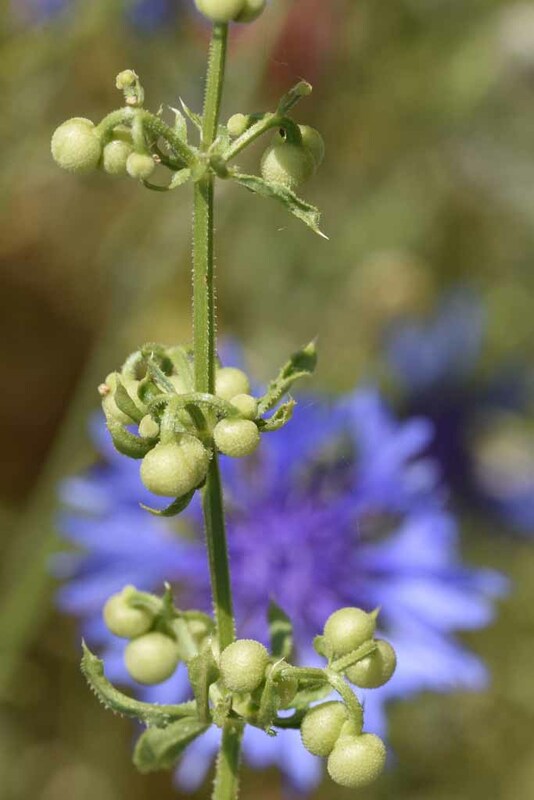 A reintroduction plan was agreed by the Botanical Society of the British Isles, the Vascular Plant Technical Advisory Group – Simon Leach, by the local Natural England Officers Alison Muldal and Rebecca Tibbetts, and by the Wytham Committee. Nine one-metre squares were marked out in three rows of three, dug over, raked and each planted with 16 seedlings grown at the Oxford Botanic Garden. The plants were visited once a week for watering during hot weather. Many of the plants flowered and set seed. Later in the season each row of squares was weeded: Ragwort, Charlock and Wild Parsnip were especially numerous. 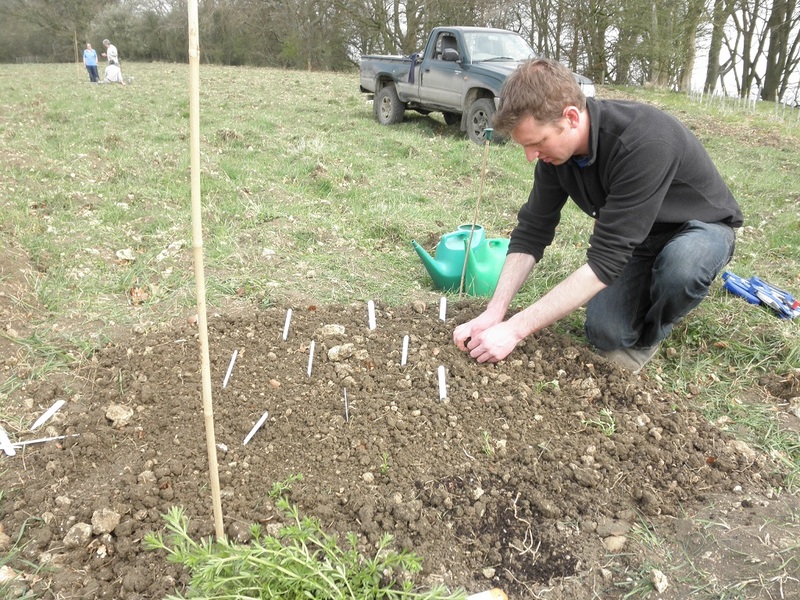 In 2014 planting was repeated on squares between the original rows. This time no weeding or watering took place, and again the plants survived, flowered and set seed. The weeds were very rank and so the main area was topped in late August to prevent seed being set, sprayed with Roundup in the first week of September and then cultivated in the last week of October. The concern was that if we sprayed off too early then we would be in danger of spraying off the arable weed seedlings as well. We needed to ensure that all the arable weeds had set seed. 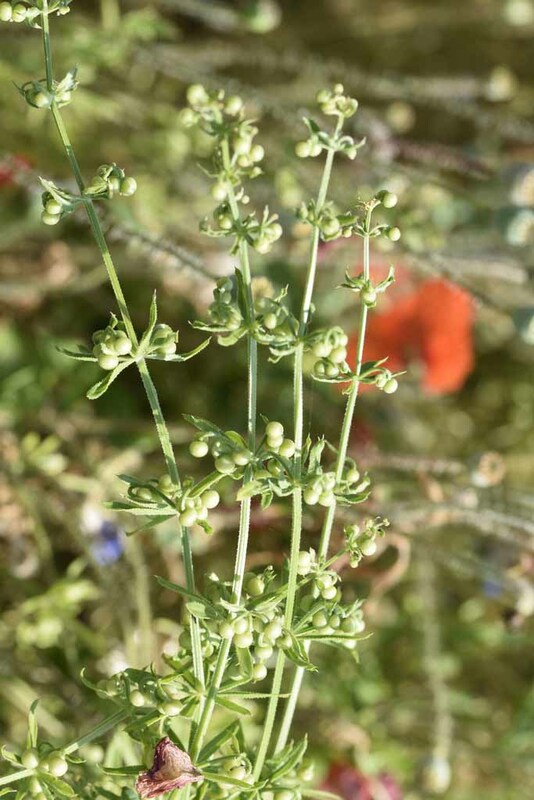 There is also the concern that many of the arable weeds such as Small-flowered Buttercup are germinate in autumn unlike Corn Cleavers which germinates in the spring. In 2015 96 Corn Cleavers plants were found along six 1 m wide transects; but in 2017 no Corn Cleavers could be seen. It was resolved that the field would be ploughed and half sown with thatching wheat as the year before. The Natural History Society of Oxfordshire has arranged a visit to College Lake BBOWT reserve to see the population being grown there. The work has been funded by Natural England, the Oxford Botanic Garden and the Wytham Committee of the University of Oxford. Much help has been given in particular by the Conservator of Wytham.